Another Year, Many Milestones. Life of a Cochlear Kid. Another Year, Many Milestones. 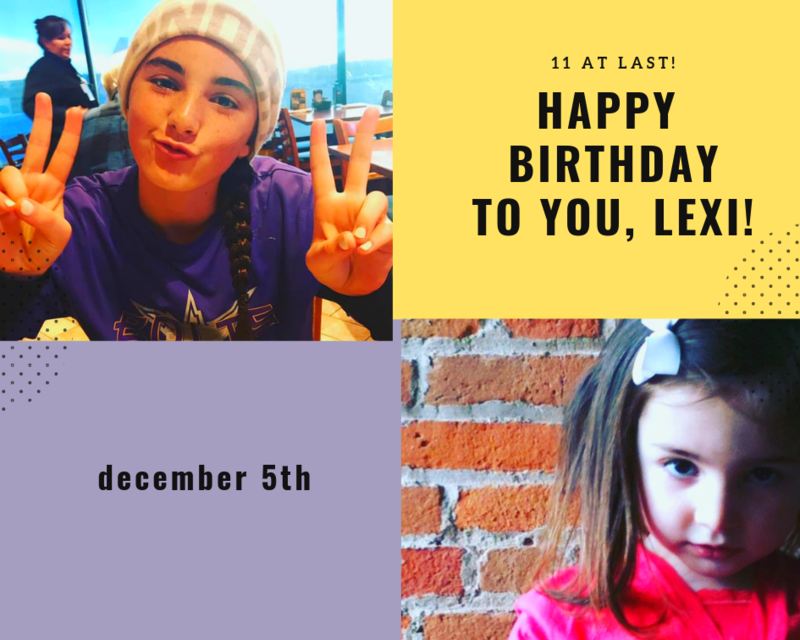 A Year by Year Reflection of Lexi's DEAF to SOUND Journey! Why am I blogging about #11? That's right. TODAY, December 5th, marks my daughter's 11th birthday. Usually moms will share milestones at 1, 5, 10, 13, etc. But 11, 9, 8, all of the birthdays we have year over year mean so much to us. WHY? Because my child, Lexi, is deaf. Lexi can also hear her birthday song. So every year, we reflect on yet another year of some of the most incredible milestones she's achieved in spite of her inability to hear naturally. Lexi is the proud recipient of cochlear implants. Most importantly, Lexi is living her best life year in and year out. Here's a year to year look at what to expect w/ your cochlear implant or hearing aid child and some tips up to today.. #11. YEAR #1: This is the toughest year to reflect on. While we had milestones of sitting up, crawling, walking... we never had talking. Looking back, I have a picture of her with her first birthday cake. I realize how awesome Lex was at lipreading. Sure, she was smiling and happy...but she never heard her birthday song. Her first birthday song. YEAR #2: This is one of the best years EVER! Lex was diagnosed as being deaf, we were told about the miracle of cochlear implant technology (Cochlear Americas). Lexi was implanted at 18 months, hearing by 19 months and said Ma Ma as her first word (although she'll probably deny it :):) at 20 months...her head finally fell onto my shoulder during a lullaby ('Songs' in Songs for Sound). Year 2 was definitely a year to celebrate! Year #3: Wow! She started to catch up. Because of amazing audiologists, speech therapists and the team at Vanderbilt's Mama Lere Hearing School, Lex made up TWO YEARS OF SPEECH in her first year of hearing and was starting to SOAR. She loved to dance. I witnessed her playing her guitar and being obsessed with Justin Bieber. Lex was also quickly mainstreaming by a split placement between Mama Lere and an amazing MAINSTREAM preschool, Belle Meade Children's Center. She was learning to be TYPICAL with TYPICAL children...social, talking, hearing, listening, LITERACY. Year #4: Y'all...LEXI mainstreamed fully into a pre-k at Christ Presbyterian Academy, the school she currently attends. THIS YEAR AMAZED ME BECAUSE LEXI WAS CHOSEN TO BE THE LITTLE RED HEN in the play, you guessed it, The Little Red Hen. Her awesome teachers referenced how well she learned every part and was so confident in front of an audience. WOW. WOW. WOW. Year #5: Sigh. She started playing sports. She started Kindergarten. She SANG, SANG, SANG and danced. She loved gymnastics, softball and being a typical kiddo with incredible language! Year #6: Starting to take off in school. None of this comes without challenges. Learning to sound out words, colors, reading books... WE WERE WITNESSING A TYPICAL CHILD develop before our eyes. She also started falling in love with basketball. Year #7: More reading, more talking, more dancing, more sports, more FRIENDS. Socially, I was in awe of how comfortable she was in her own skin. HEARING AND SPEECH helped her learn to be herself...just LEXI. Year #8: Watching her decide to come into her own in sports. Softball and basketball are clearly her thing. She had to learn to advocate for herself. One of the greatest challenges for a deaf child. She was learning to listen through noise, crowds, through technology which amplifies a coach. Lex was starting to grow up "deaf" and some realities did start to set in. 99% incredible, at the same time, my mind shifted to "how she will manage this" as she grows up. TEARS. Year #9: Now school is becoming very challenging. Looking back, mommas, please don't stop therapy. Ever. I would exchange it with the best literacy, grammar and writing tutor you can find. The old school kind. The kind that will teach her to think critically and learn how to process language. The kind of teacher who will push her to be her best in academics...especially reading and writing -- the foundation for everything she'll do heareafter. Someone who will teach her to use cues and clues to figure things out when she may be missing some words in the test question due to her delay. Year #10: Whew, now it's getting real. Social. Lexi learned to navigate social even more over the past year. Year 10 showed me a little more of the woman she is becoming. She has accomplished MUCH in her athletic career and more importantly, her language is THRIVING. She has taken a huge leap in her EXPRESSIVE use of complex language. Proud year and one I'll cherish forever. She's socially more aware of what she needs to do to take care of herself and her equipment, she's navigating difficult hearing environments and I'm beyond impressed at how she manages mental fatigue on her own now. She advocates for herself!!!! SO HERE WE ARE...YEAR #11. I don't know what to expect. I don't know what challenges or curveballs deafness will bring...but I do know she can HEAR every SOUND her 11th year! HAPPY BIRTHDAY BIG LEX! LOVE YOUR VERY BLESSED MOMMA.